John McCain is no longer among us, but his voice lives on. You see, he produced a daughter who has become quite vigilant in protecting the late senator’s legacy. Moreover, she has become a vehement critic of the man who once had the indecency to denigrate Sen. McCain’s valiant and heroic service during the Vietnam War. Meghan McCain clearly is her father’s daughter. 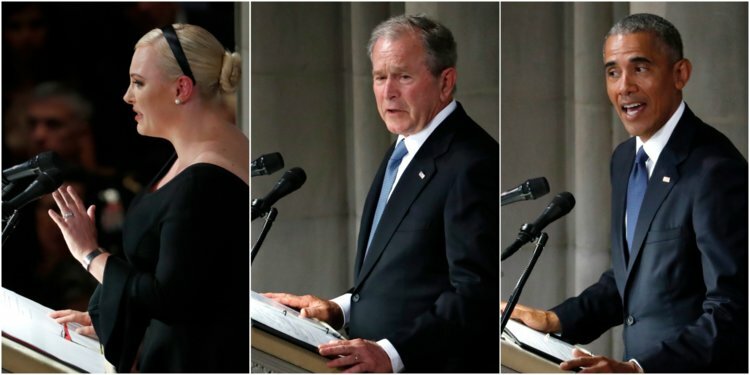 She most recently said she wished that Donald Trump’s daughter Ivanka and her husband, Jared Kushner, had not attended the memorial service where Meghan McCain eulogized her father. It was candidate Donald Trump who once said infamously that Sen. McCain was a “war hero only because he was captured. I like people that aren’t captured. OK?” That profoundly callous utterance drew much-deserved condemnation from many millions of Americans; I was one of them. McCain was a Navy aviator who was shot down over Hanoi in 1967 during the Vietnam War. He was held captive for more than five years. He rejected an offer for an early release and for that he suffered more torture from his captors. Meghan McCain has taken that particular criticism personally, as she should. Moreover, she has taken personally the continual slights and digs that the president slung at her father while he was battling the cancer that took his life this past summer. As one American who took Donald Trump’s hideous statement about someone who fought bravely for his country I continue to embrace the passionate views expressed by the valiant warrior’s daughter. She speaks not only for herself, but for many others who believe as she does about the (lack of) character the president continues to exhibit. I want to declare one more time — and I hope it’s the final time — that Megan McCain didn’t say a single inappropriate thing while paying tribute to her father, the late Sen. John McCain. I was proud of the courage and steely fortitude she demonstrated while standing in the National Cathedral pulpit to honor the life and heroic public service that her beloved father exhibited for more than six decades. And yet to hear some of the gripes from Donald J. Trump’s loyal followers who say she was too cruel, too mean and too vengeful in her remarks simply galls me beyond measure. She compared her father’s “suffering” while serving the nation to those who lived — at that time — existences of “privilege and comfort.” Yes, she was referring to the president of the United States, who was pointedly not invited to the private funeral in Washington, D.C. Sen. McCain and Trump had serious differences that went far beyond mere policy disagreements. It was personal and visceral. Well, I happen to like presidents who don’t utter crass and cruel statements about a legitimate American war hero. The 62 million Americans who voted for Trump in 2016 knew what they were getting when they cast their votes for the one-time reality TV celebrity/serial philanderer/real estate mogul/pathological liar. Perhaps their criticism of Meghan McCain’s remarks is meant to disguise their own regret for casting their ballots for Donald Trump in the first place … not that many of them will ever acknowledge it publicly. Think of it: That, too, mirrors the attitude demonstrated by their champion, the president of the United States. Meghan McCain spoke from her broken heart. She also spoke the truth in her father’s honor. 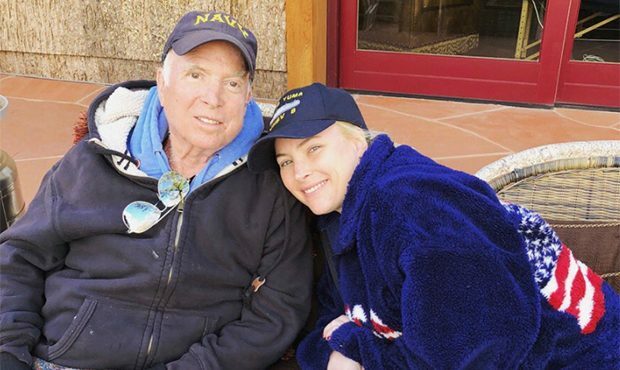 It appears that Meghan McCain, the grieving daughter of the late U.S. Sen. John McCain, hit a nerve with the tribute she gave in memory of her beloved father. She spoke of how the senator believed in America’s greatness. She talked of her father’s adherence to public service and the suffering he endured in that service to his nation. She hailed him as a great man whose demonstrated commitment to the nation far exceeds others who never served their country and who were born into a life of comfort and privilege. The Donald Trump cadre of supporters took it personally. They are hitting back at Megan McCain for speaking from her shattered heart. Imagine that. Are you surprised? Neither am I. They also have taken aim at former President Barack Obama, who essentially echoed much of what the senator’s daughter articulated. President Obama said McCain didn’t suffer petty arguments and the politics of fear. The Trump gang took that personally, too. The Trumpsters, interestingly, have been relatively quiet about the thinly veiled references to the president’s divisiveness and anger uttered by former President George W. Bush. Whatever. President Bush is a Republican politician, just as Donald Trump belongs to the GOP. Hey, this is a toxic, divisive time. The president who vowed to unify the country only has succeeded in dividing it more. And that is among the reasons that Sen. McCain made it abundantly clear that the president would be unwelcome at his funeral. Donald J. Trump and his base of supporters are getting precisely what they deserve. Meghan McCain won’t ‘forgive’ POTUS … good! Meghan McCain clearly loves her father with all her heart. Thus, she is taking a deserved hard line against the man who has disparaged, disrespected and disregarded her war-hero dad. U.S. Sen. John McCain is battling brain cancer. He has faced down the toughest foes imaginable, given his more than five years as a prisoner of war in North Vietnam. So, when Donald John Trump insults Sen. McCain — and doesn’t ever rebuke a White House staffer who did so as well — one can expect the senator’s daughter to take it personally. Trump once disparaged McCain’s Vietnam War service by saying he is a hero “only because he was captured.” Then he has continued to harp on the senator’s thumbs-down gesture that doomed Republican efforts to repeal the Affordable Care Act. Has the president called Sadler out? No. He got angry because her comments were leaked. Meghan McCain said this, too: “If anyone wants to say anything to me in any way, they have to do it publicly,” she said. “I don’t take private phone calls from the Trump Administration anymore. John McCain has lived a life of public service that is totally foreign to the president of the United States. I, too, admire Sen. McCain’s sacrifice in defense of our nation. As for his daughter’s declaration that she cannot “forgive” the way the president has treated her father, I am in her corner. 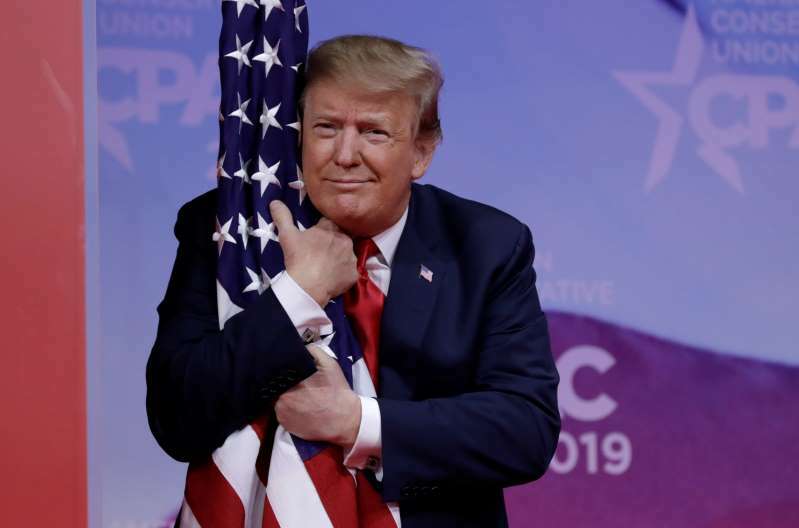 Trump trashes McCain at CPAC … can you believe it? So much for presidential promises. 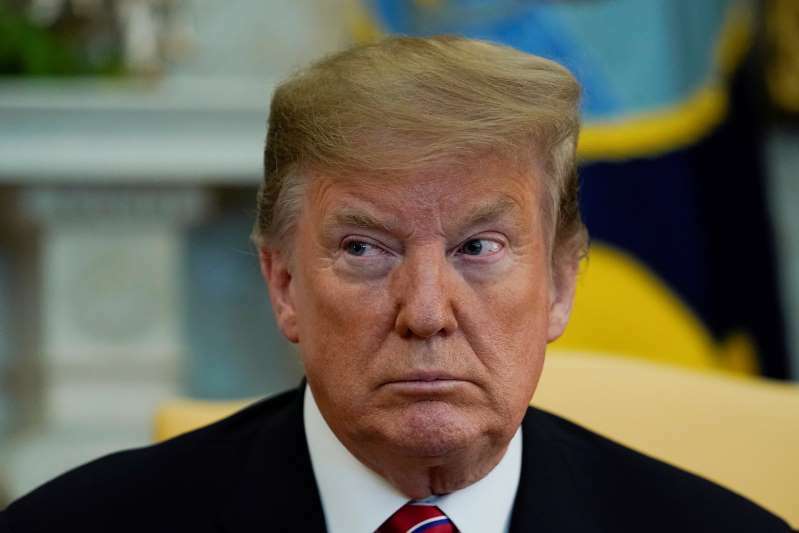 Donald Trump reportedly had pledged to Meghan McCain, daughter of Sen. John McCain, that he no longer would criticize his fellow Republican. McCain is fighting a virulent form of brain cancer. His daughter revealed only recently about a conversation she had with the president about his vow to be kinder to the stricken senator. Then the president stood before the Conservative Political Action Conference and tore into — that is correct — Sen. John McCain over his “no” vote on plans to repeal the Affordable Care Act. If you can get past the mangled syntax and the idiotic sentence structure of the president’s remarks, then you’ll understand that the president is doing precisely what he told the senator’s daughter he wouldn’t do. In Trump World, a promise made is a promise to be broken. Joe Biden has this way of comforting those who are in pain. The former vice president demonstrated that remarkable skill the other morning on a live TV show I was watching with my wife. Vice President Biden was visiting the set of “The View,” the all-woman gabfest that features guests to talk about “hot topics” and other matters. 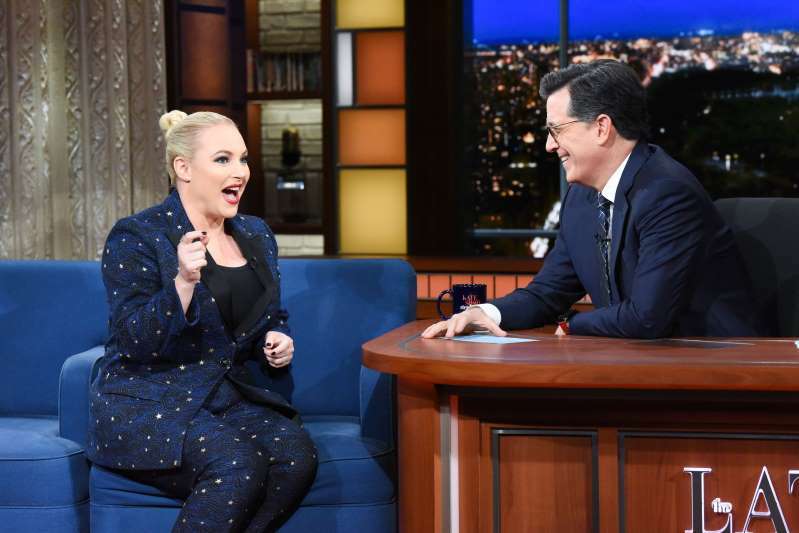 One of the co-hosts happens to be Meghan McCain, daughter of U.S. Sen. John McCain, the 2008 Republican presidential nominee who lost that presidential election to Biden’s running mate, Barack H. Obama. Sen. McCain is fighting glioblastoma, a virulent form of brain cancer. The senator’s daughter began discussing Biden’s recent book in which he talks about the disease, which claimed his son, Beau, in 2015. Meghan started crying. She apologized to the former VP, who then swapped chairs with “View” co-host Sunny Hostin. He grasped Meghan McCain’s hands, offering her comfort as she told him how she thinks of Beau Biden daily while her father wages the fight of his life against cancer. Biden told her to never give up hope. He urged her to follow her dad’s example of courage in the face of daunting challenge. He also sought to encourage Meghan by telling her of medical advancements that are being made in the fight to quell the disease Sen. McCain is battling. What’s more, the vice president sought to tell Meghan McCain that her father is the politician who understands that political foes — such as Biden and McCain were during their time together in the Senate — need not be enemies. He told her his son, Beau, admired Sen. McCain’s “courage,” the type he demonstrated while being held captive during the Vietnam War. Biden also reminded Meghan that her father was always there for those on the other side of the political divide. He spoke of his longstanding friendship with Sen. McCain. Democrats and Republicans in today’s political environment too often demonize each other. By that I mean they question their patriotism, their love of country, their motivation. Joe Biden sought to tell the daughter of one of his best Senate friends that her dad does not operate that way. It’s a lesson I wish fervently would somehow sink in on both sides of the gaping chasm that separates the political parties operating in Washington — under the Capitol Hill dome and inside the walls of the White House.